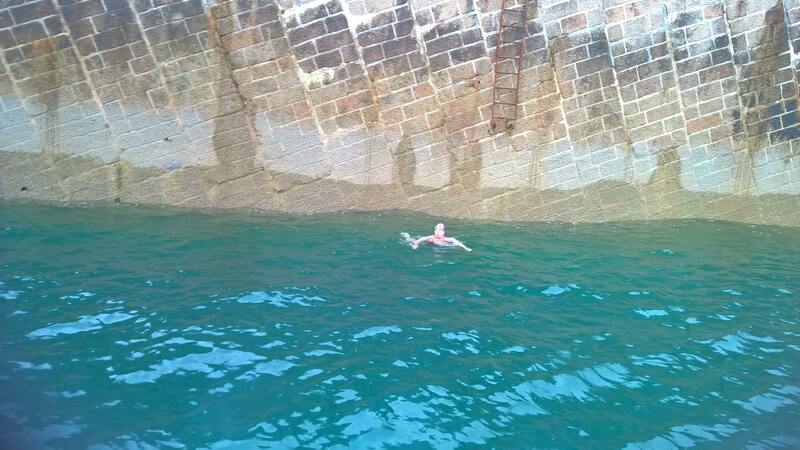 I successfully swam around the beautiful island of Jersey on 18th July 2015 in 11 hours 55 minutes. I am chuffed to bits! 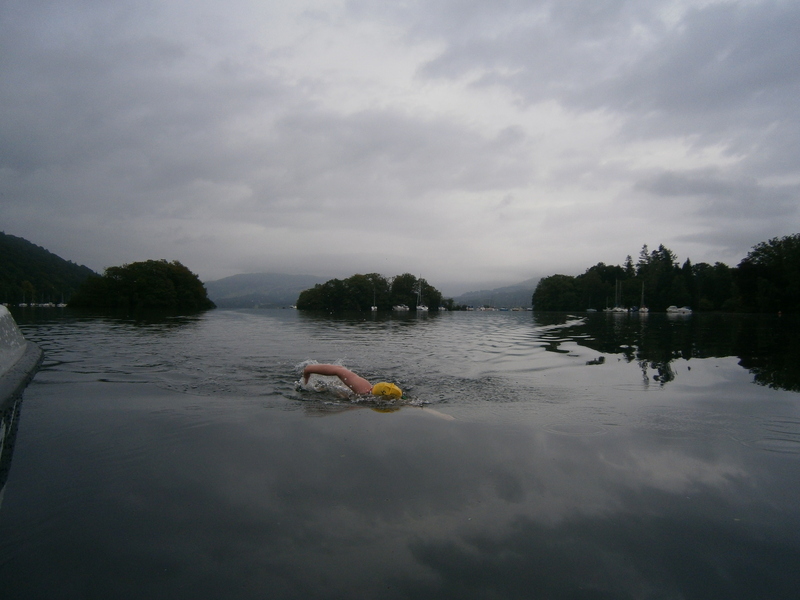 I was due to swim Loch Lomond on Saturday 18th July, but the weather forecast was hideous for the few days beforehand and on the swim day itself. Also, I wasn’t feeling very well on the Tuesday and Wednesday and the thought of driving up there wasn’t particularly appealing. I took the decision to postpone the swim. I was supposed to swim around Jersey in 2014, but was blown out by bad weather, and rebooked for 2015 for the period between 1st – 5th August. Being a bit weather obsessed, I spotted that the weather forecast for Jersey for the weekend was the polar opposite to Loch Lomond, i.e. it was sunny with very little wind. There was nothing to lose, so I contacted my pilot Matt, who didn’t try hard enough to put me off and said that the forecast was looking fantastic for the weekend. Decision made! I figured it made sense to attempt the swim in good weather, even if the tide wasn’t the biggest, as I didn’t fancy being blown out by bad weather again. I sorted out flights from Bournemouth International Airport (!) to Jersey, and accommodation. 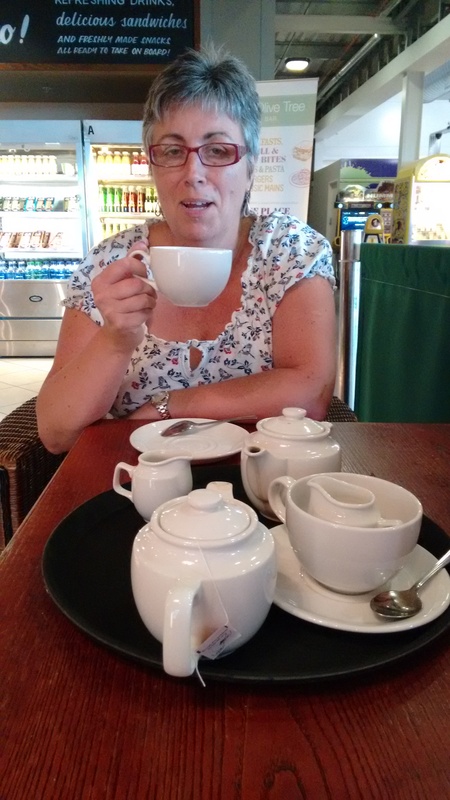 I picked up my sole crew member Joanne Postins in Basingstoke on the Friday and off we went. The flight was nearly two hours late so we passed some time drinking in the bar at Bournemouth International Airport. We certainly know how to live! 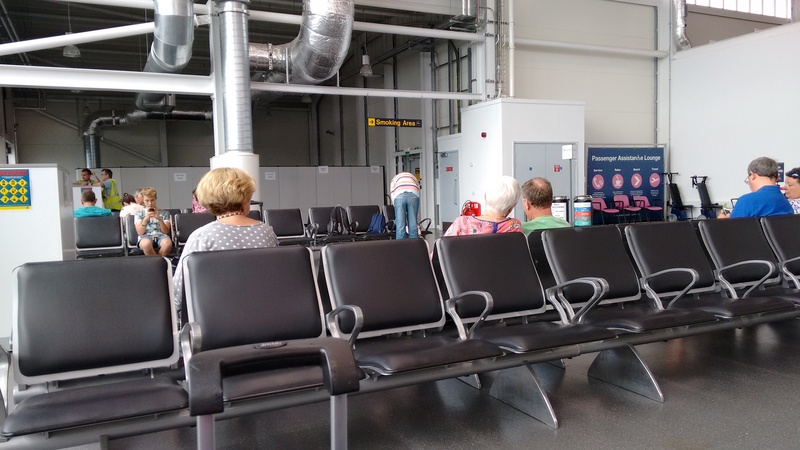 Eventually we were called to the gate and we rushed to join the hordes of passengers waiting to get on our flight. The flight itself was very brief and we were airborne for just 26 minutes before landing in Jersey. I had a slight panic when we were coming into land. Jersey is huge and the thought of swimming around it suddenly seemed like yet another one of my stupid ideas. Anyway, we made our way to our B&B, met up with Sally Minty-Gravett, and wandered down to have a look at the boat. The boat looked lovely, and then Matt popped his head up, so we had a chat before going off to our B&B. The next job was to do some carb loading for the busy day ahead. I slept really well that night, and was feeling quite bouncy and alert in the morning. I couldn’t eat anything, but that’s fairly normal for me before a big swim. I knew that I could eat once I got going (or at least that was the plan). Sal collected us just before 6am and took us to the marina. Thanks Sal! We met up with the official observer from the JLDSC, Steve Holley, and my kayaker for the first two hours, Jonathan Reynolds. 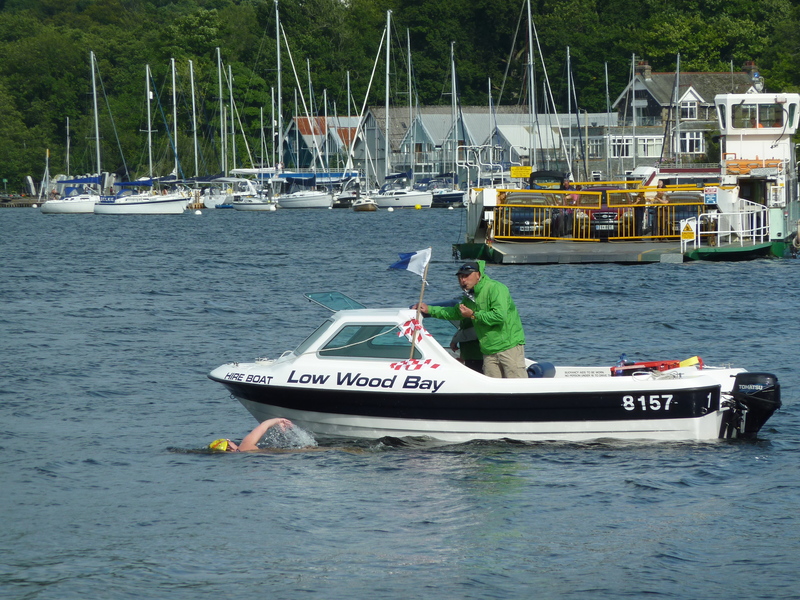 I then went to find Lucy Roper who was swimming on the same day with the JLDSC club boat, Sea Swimmer 2 and we had a nice big hug and wished each other luck. The next bits are a bit fuzzy. I was really really nervous and I have no idea what I was saying or doing. Somehow I managed to sort out hat, goggles and Vaseline. 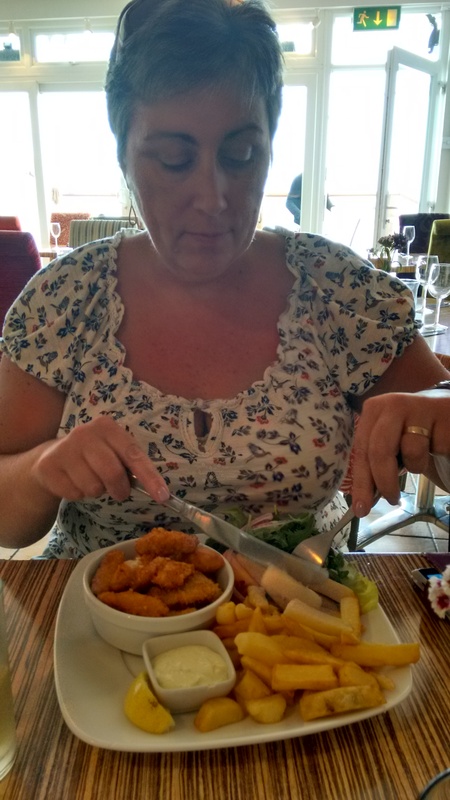 Joanne had the lovely job of greasing me up – sorry Jo! I had a minor panic when I picked up my earplugs and realised they were both labelled “R” for Right ear. 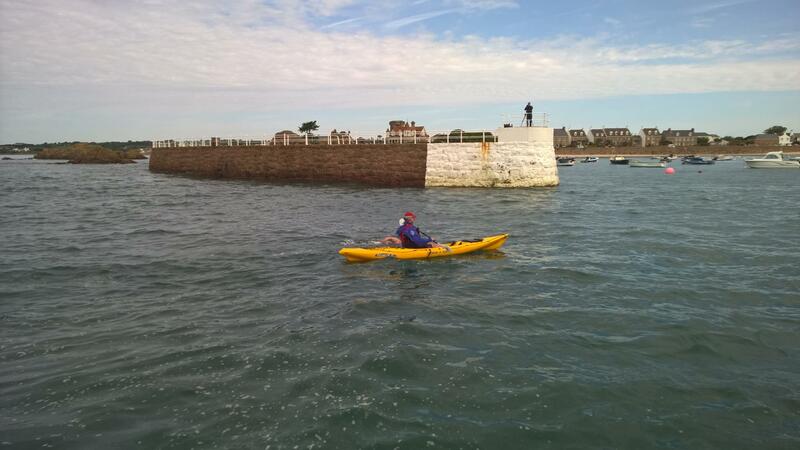 It didn’t take long to get to the breakwater for the start of the swim. Lucy started her swim about 3 minutes before me. I was still faffing about at that stage, losing valuable time, but eventually found an “L” earplug. Preparation is key! 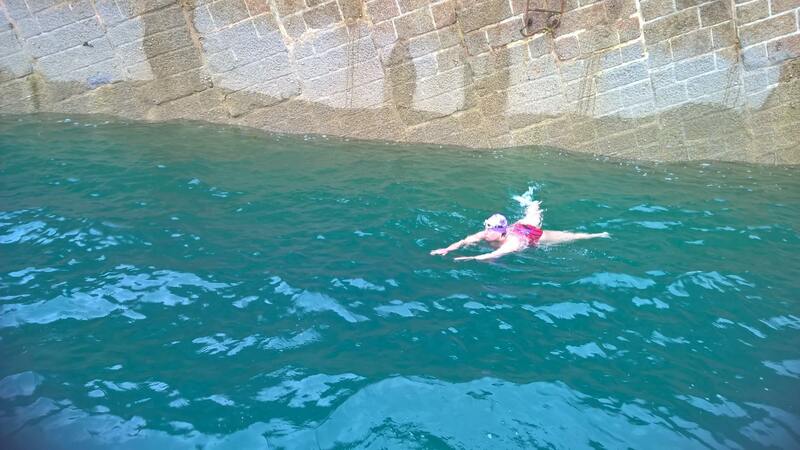 I then made my quickest every entry into a body of open water, and touched the breakwater to signify the start of the swim. About five seconds after I had started, all nerves had gone and I wanted my breakfast. Lionheart soon headed out and left me to swim with my kayaker Jonathan through the rocks for the first two hours. The rocks are too close to the surface for Lionheart to be able to navigate through that section of the swim. The first hour or so was quite uneventful. 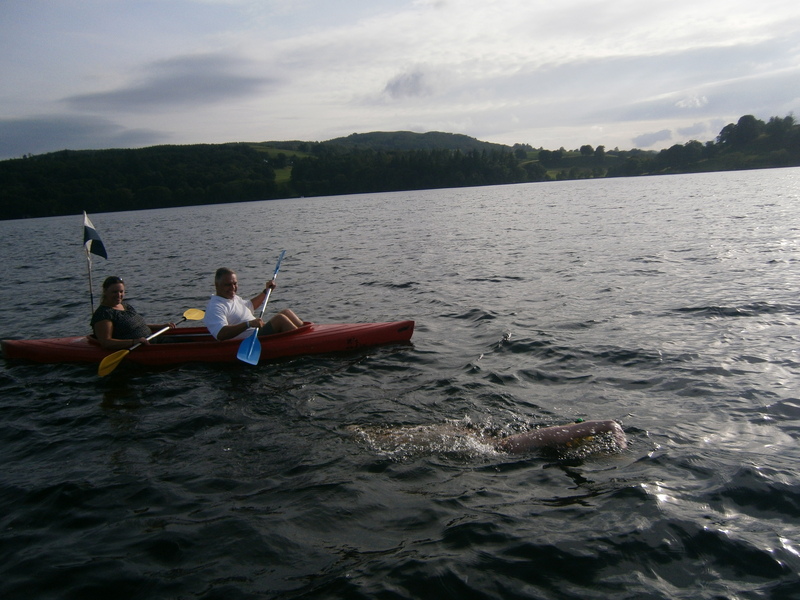 I swam alongside Jonathan through the rocks and seemed to be making fairly decent progress. First feed was taken just before La Motte (Green Island) and I had a bit of a chat with Jonathan about wardrobe malfunctions, then off we went again. The next hour was quite exciting as it was through the rocky patches in the approach to La Roque. I was reminded of “Emma’s Rock” from Emma France’s 2014 swim and tried to avoid swimming into anything that looked to be masquerading as a rock and fixed in place. Some of the rocks beneath the surface looked very close but I managed to get through unscathed. I caught a glimpse of Lionheart in front of me as we approached the breakwater at La Roque, and knew that we were nearly through the rocky part. We rounded the corner and Jonathan told me that I could have my next feed in a few minutes and we would now make our way towards the boat. The next feed was deployed and I think I was given some banana as well at that point. I was in very good spirits at that stage, I had enjoyed that first section immensely. The next bit wasn’t so great. I was getting tummy ache and feeling a bit queasy. I know that my stroke rate dropped quite a bit, and I was swimming as if I was on a “Sunday stroll” rather than a major marathon swim. For the first time I doubted I was going to make the swim. I felt as if I had no energy and was swimming like a bag of spanners. In truth, I was swimming like a bag of spanners. It didn’t help that there was quite a bit of seaweed around which kept wrapping itself around me and disturbing my stroke. 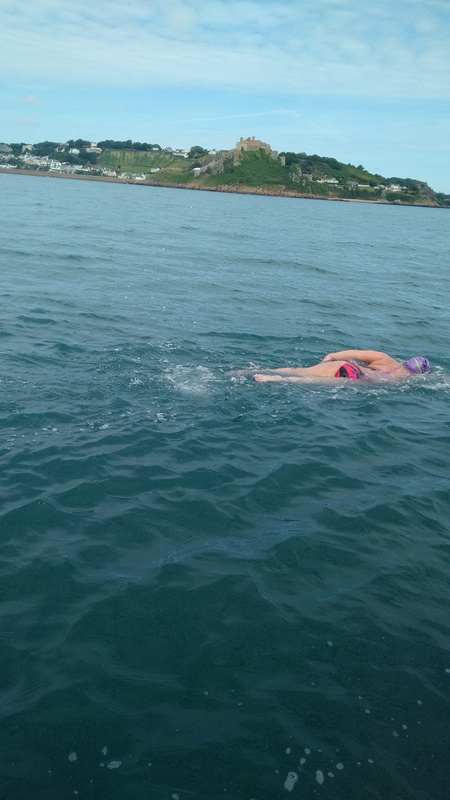 We passed Gorey, and I didn’t really take much notice, we made our w ay towards the breakwater at St Catherine’s and I was still swimming like a bag of spanners. I asked for an extra scoop in my next feed to give me some energy. That made me feel worse. 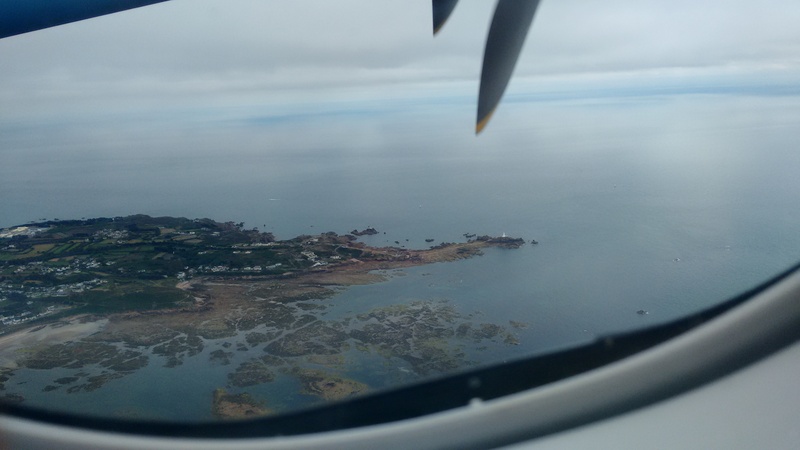 Unfortunately, I didn’t really enjoy swimming up the East coast of the island as I was feeling rough, such a shame because the photos taken show that it is a very beautiful part of Jersey. As we rounded St Catherine’s in the north east corner of the island I was told to pick my stroke rate up. I managed to do this for a brief period, but it was hard work and my tummy was getting really sore. At the next feed I asked for an energy bar. It was disgusting, but it did the trick. About 15 minutes after that feed I managed to throw up the contents of my stomach and immediately felt so much better. “Better out than in”. The next couple of feeds were either black tea and peaches, or water and a jaffa cake. I seemed to have far more energy on these feeds than earlier on in the swim. My stroke rate picked up and I actually felt as if I was swimming properly. 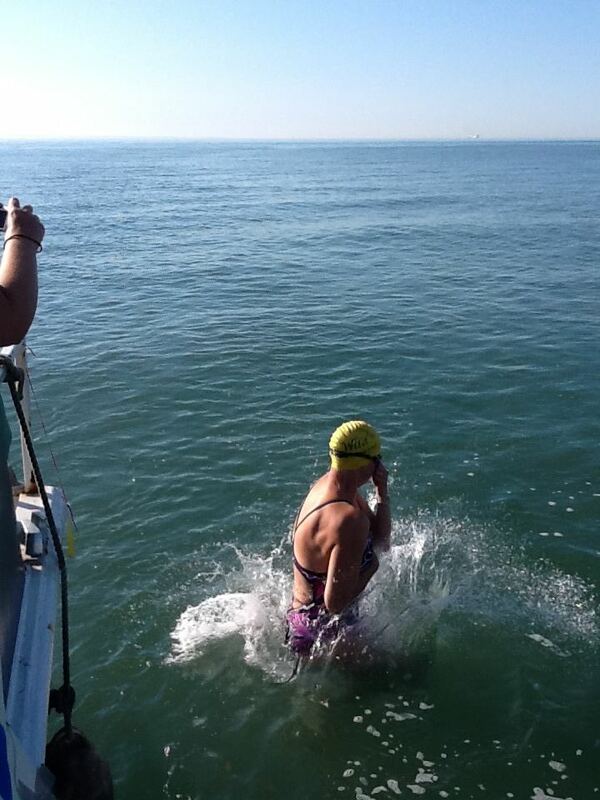 For the rest of the swim my stomach was settled, my stroke rate improved and I felt really good in the water. I was only sick the one time, which is a personal best for me! Joanne asked if I wanted some company. I think I said “yes please”. Maybe I didn’t, as she didn’t get in with me. It seemed to take forever to get to Plemont / Grosnez at the north west of the island, and the water got a bit more lively as we rounded the corner. Once we were round the corner I could see the expanse of St Ouen’s bay. This is a 5 mile stretch of sandy beach, which can get quite boring. This was the best part of my swim. I actually got on with it and did as I was told. At my next feed I was a bit rude to Joanne and barked at her “Are you getting in, or what?”. It seemed to me as if it had been three hours since she asked and I was getting a bit fed up of waiting. Joanne was duly thrown into the water, and my stroke rate picked up because I was trying to stay ahead of her and was wondering why it had been suggested that she got in with me. 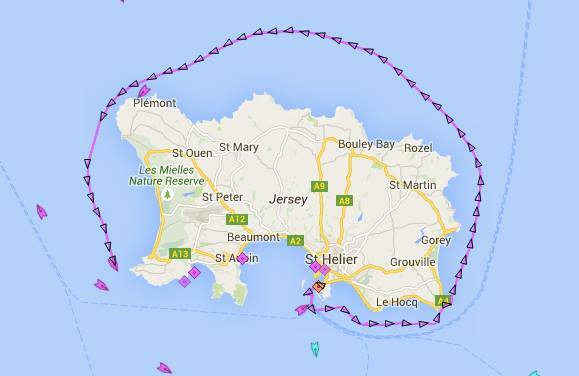 I was a bit worried that I was in danger of missing the tide and heading off to Guernsey. I’m not proud of myself for barking at Joanne, but when you’ve been swimming 7-8 hours you do start to get irrational and it doesn’t always manifest itself in the nicest way. Sorry Joanne, I actually do love you to bits. Anyway, it worked because I got my head down and (felt as if) I picked up my pace and headed for the lighthouse at La Corbiere. 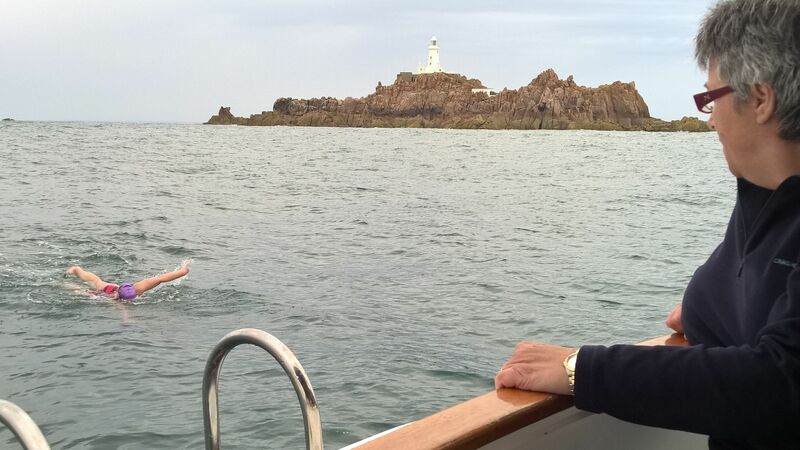 I then entered a time warp, because no matter how hard you swim, or how fast you think you are going, Corbiere Lighthouse never gets any closer. I can understand why it has been said that the West coast of the Round Jersey swim sorts out the sheep from the goats. I worked out in my head that I had now been going for 13 hours and it was going to get dark soon, so I really needed to get on with the swim as I wasn’t wearing lightsticks. We approached the lighthouse and came in quite close to the rocks. 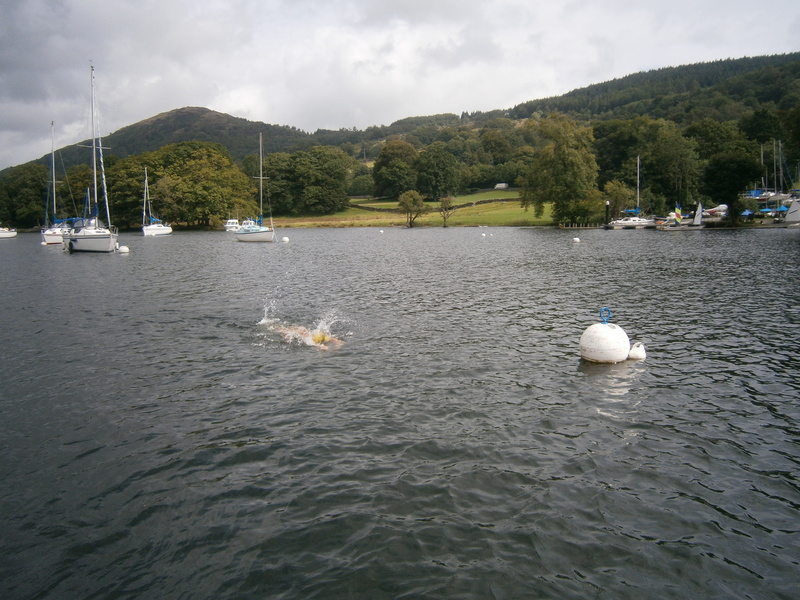 This part of the swim was ACE. It was really bumpy and such fun to swim through. 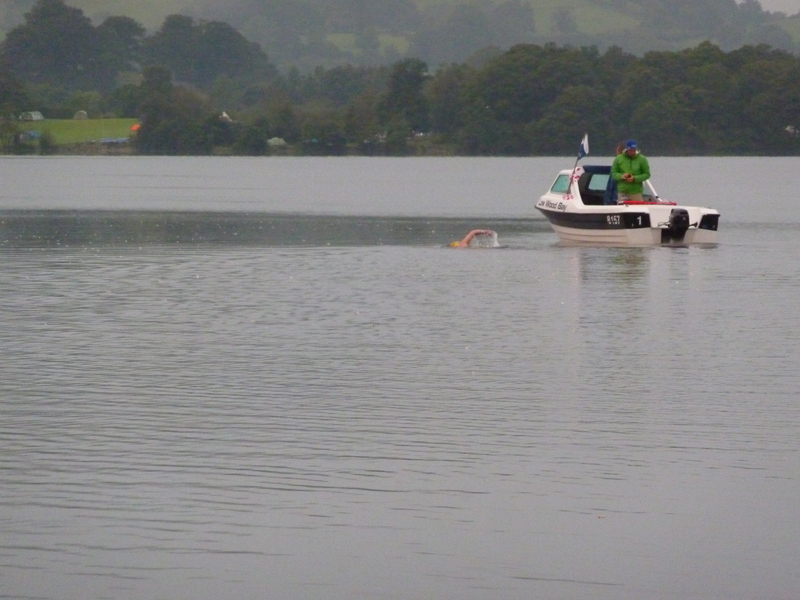 I could see Lionheart in front of me bobbing around and I was really enjoying this part of the swim. 16:44 Ten hours into the swim. Shortly after we rounded the corner I was given another feed and some paracetamol. I didn’t ask for the painkillers, but I figured that the crew must have spotted me swimming oddly, so I obliged. I was also given two Percy Pigs, but they took forever to chew so I gave up on them and spat them out under water. I saw a few jellyfish around this spot, mainly barrel jellyfish a few feet down. I hope the jellyfish enjoyed the Percy Pigs. The water was so clear and I could see a long way down. 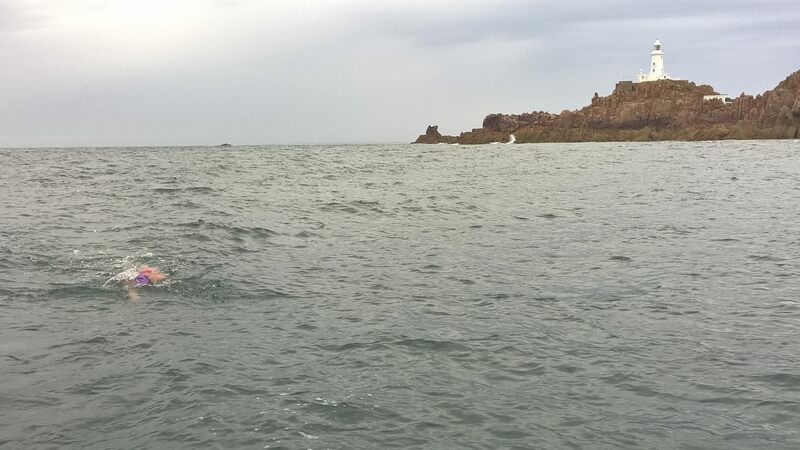 I was told that a baby dolphin had been spotted near La Corbiere. As is usual for me on marathon swims, I missed seeing the dolphin. Possibly my favourite photo of the day – Thanks Steve Holley! 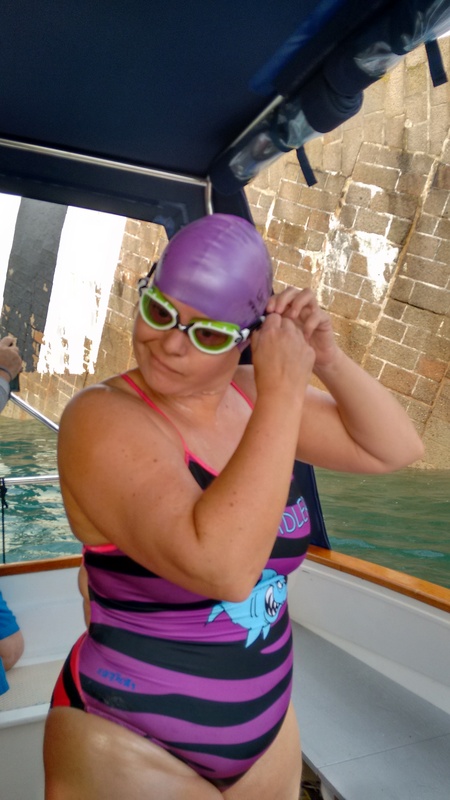 I need some swimming lessons…..
Matt then told me that I only had a couple of hours left, which left me feeling a bit despondent as I had now worked out that I was on for a 16 hour Round Jersey swim. That would be a record, but one that I didn’t want to hold. He also told me that everyone in Dover was watching and cheering me on which did boost my morale, but my response to Matt came out the wrong way as “I’m surprised they don’t have their pyjamas on by now”. I probably shouldn’t talk when swimming! Anyway, time to crack on. The next hour or so felt pretty good and I was still really enjoying the swim, even if I was talking nonsense. We passed Ouiasne Bay and approached Noirmont and I was given another feed. I was told “If you get your ar$e in gear now, this will be your final feed”. 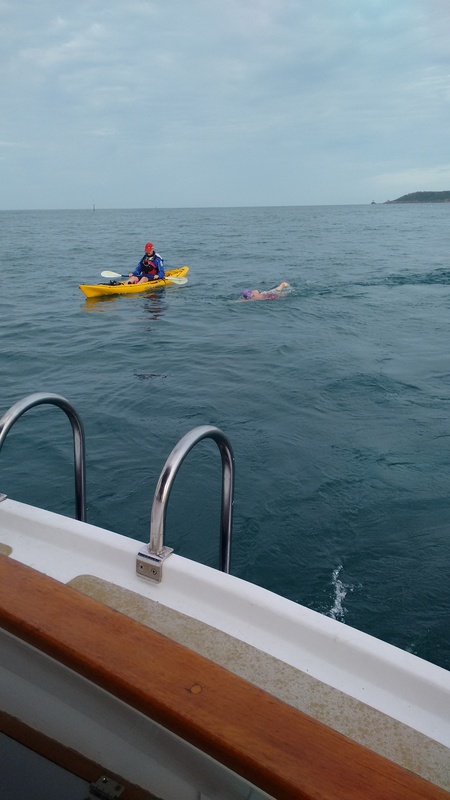 The final part of the swim was the slog across St Aubin’s Bay. This seemed to take forever. It was also really fun, because it got quite choppy and I was getting thrown around a bit. Joanne looked to be bobbing around on the boat a bit and I imagined it may not have been so much fun for her. My observer Steve was getting really animated and telling me to kick harder. I could see the breakwater getting closer and then realised I was actually going to finish this. I looked over to the boat and nearly swallowed half of the bay, as Joanne and Steve had unfurled the pink SUVA pirate flag. Although it’s a bit of an “in joke” it did make me chuckle! I swam to Lionheart and was then told my time. 11 hours 55 minutes. My calculations were a little bit off, but I was never very good at maths. I was very pleased to go under 12 hours on a fairly low spring tide. 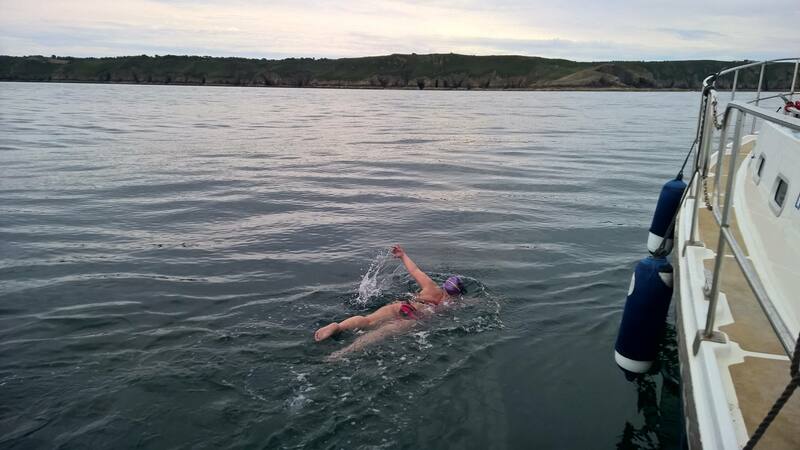 I have lots of people to thank for this swim, and apologies for anyone I have missed out. Joanne Postins. My only crew member, who had to put up with me all day, but also had a very enjoyable tour of the island. Captain Matthew Clarke of the good ship Lionheart, for his excellent piloting skills. Steve Holley. The official observer from the JLDSC, and for his excitable encouragement all day long! Jonathan Reynolds. My wonderful kayaker for the first two hours, for keeping me safe through the rocks. Wendy Trehiou, for all her help and advice. Mark Robson for his constant updates on Facebook and keeping all my friends and family informed on the day. Freda Streeter, Emma France, Helen Beveridge, Sam Jones, Kate Robarts, for all their encouragement and putting up with me when I said “I can’t do this”. Mark, William and Gemma for letting me do this. 2012 was an amazing year for me. I think I should put all this into perspective. 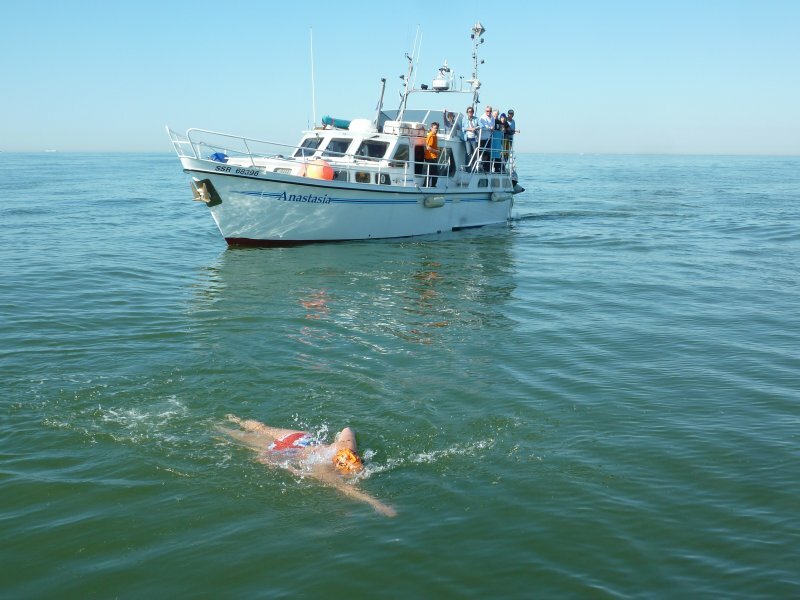 In September 2011 I rather foolishly booked an English Channel solo slot following the “high” of participating in two English Channel relays in 2011. I was allocated the Number 3 slot for the neap tide commencing on 12th September 2013 and this gave me two full years of preparation. However, I was persuaded to add myself to the waiting list for a cancellation in 2012. In December 2011 a cancellation became available and I was offered a solo slot for the tide commencing on 26th July 2012. I accepted this without hesitation! In hindsight, this was all very foolish. 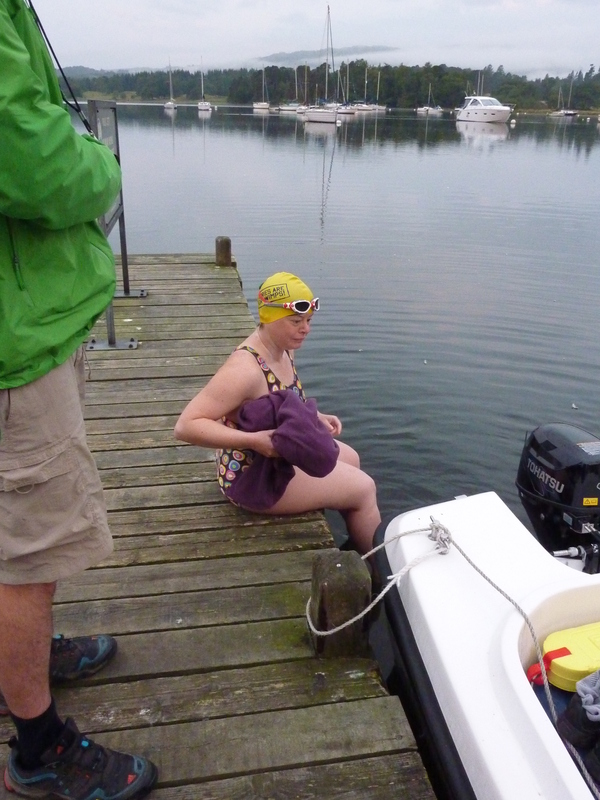 Prior to this, my longest swim had been a 10K race in a lake in September 2011 in 17C water. I booked onto the Swimtrek Gozo Long Distance Training camp in April 2012 to kickstart my open water training in 2012. I spent the winter of 2011/12 spending many hours in the pool doing long endurance sets and I was averaging 30K-40K a week by February. My acclimatisation started in Gozo in April. I found the week extremely hard, but I came away from this with the satisfaction that I had completed my six hour Channel qualifier. I also came away knowing that I had a lot of work to do if I was going to make it across the English Channel in just three months’ time! I set out my training plan for the next three months. Basically I would spend every weekend in Dover training in the harbour under Freda Streeter’s instructions and I would train in the pool during the week. This was extremely hard as it meant that I spent every weekend away from my husband and two children, but we all understood that this was a temporary arrangement. These personal sacrifices also made me more determined to achieve my goal. I have since taken a break from the Open Water and returned to the pool, training with Basingstoke Bluefins Masters squad four times a week. In October 2012 I attended the Hampshire ASA President’s dinner on the Isle of Wight and to my surprise I was awarded the President’s Plate! This award can be given to any swimmer or official from Hampshire ASA. I was very honoured and surprised to receive this award! I have also been nominated in the Basingstoke & Deane 2012 Sports Awards – Senior Sportwoman category. We shall have to wait to see if I am shortlisted for the final. 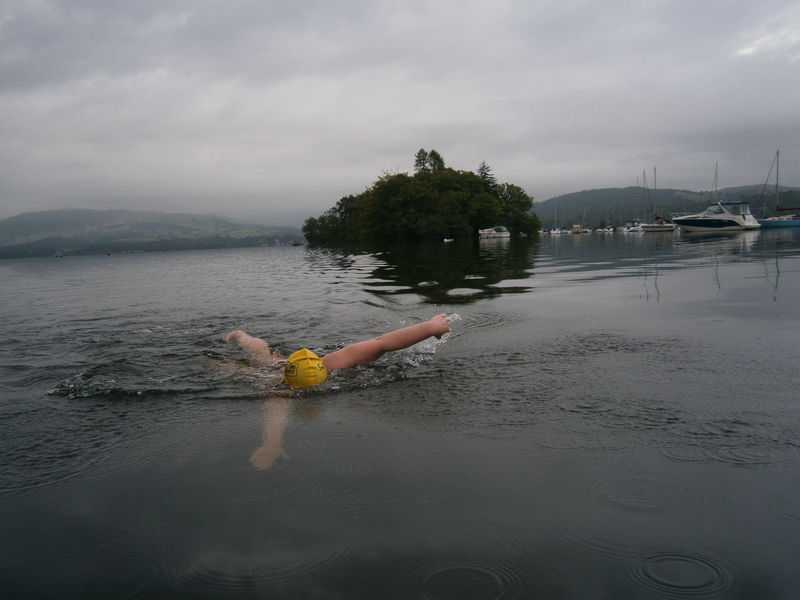 Anyway, I am now increasing the hours in the pool again as I have a few exciting swims planned in 2013 and I am really looking forward to another year of fun! 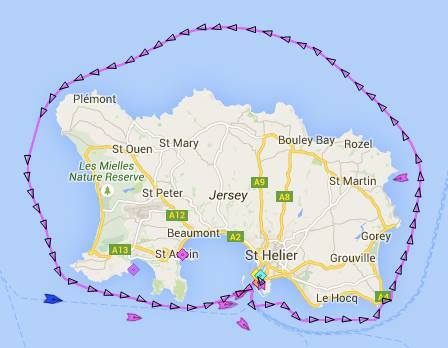 Finally, good luck to everyone attempting the English Channel in 2013. It’s an amazing experience and I hope to meet some of you whilst training in Dover Harbour. I asked a member of my crew, Kate Robarts, to keep a record of my swim. She emailed this to me today. I have to admit that I was in tears myself when I read it. It seems like an “out of body experience” to me. It’s also the first time I have cried since my swim! 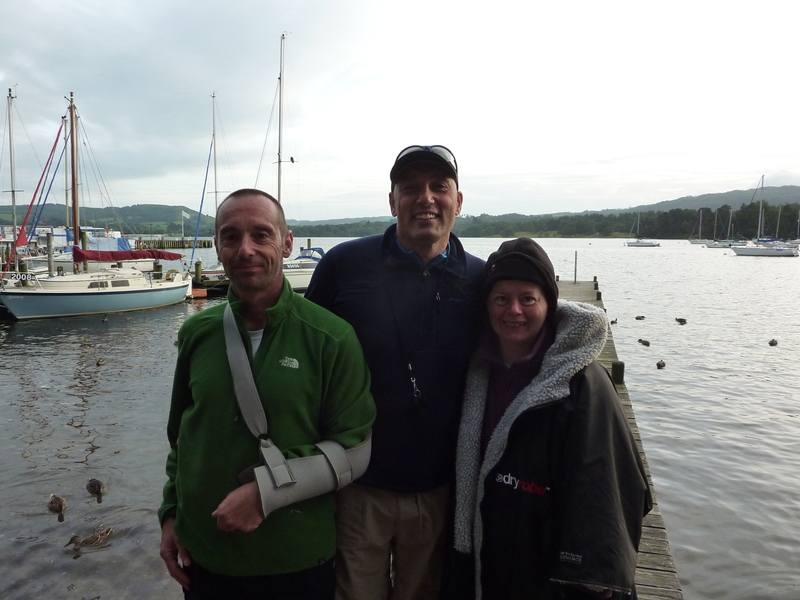 Crew members were Joanne Postins, Kate Robarts and my husband, Mark Sadler. The observer was Emma France. My pilots were Neil Streeter and Jock. Zoe’s Day Trip to France. Zoe seemed quite serene and contemplative on the journey from the marina to Samphire Hoe. She sipped at Maxim while we all commented on how calm the water was. Joanne got her greased up, Mark attached her guardian light to her goggles and I pinned the tail light to her cossie. This set the pattern on the boat. We all worked happily together, with Emma closely watching Zoe, right from the start. At about 1.55am, she sat on the platform with her feet in the water for about 20 seconds before swimming back to the beach. A loud shout of laughter broke the silence as she fell up the beach. Good sign! Meanwhile, Ian was also on the beach a couple of hundred yards away, ready to start his own solo. 3am First feed, 300ml of Maxim in a cup and spare goggles/light in another cup, were attached to the pole with the two frames. Unfortunately, the pole was difficult to manoeuvre and Zoe found it hard to take the cup from the frame, leading to the loss of the whole feed and the forlorn sight of goggles and little green light floating off into the distance. Emma told Zoe not to worry, just to keep swimming while we sorted out a new feed. This was done within a couple of minutes, in a bottle with cord attached. We signalled to Zoe, feed was taken successfully and she carried on. The bottle was much easier for her to work with so we washed it out and stuck to it for all future feeds. 4am feed, the rope got caught on the thread of a glowstick. Joanne had to break it, so the glowstick floated into the sea with the bottle, lighting up the feed. Bit of a laugh but we were learning with every feed. At 4.30, Jock pointed out dolphins off the stern. They followed us for at least 30 minutes but didn’t come close to the boat. 5am feed was trouble free, still 300ml maxim. 6am good feed. Emma was a little concerned that Zoe was looking back. We found out later that she was very pleased by how far she’d swum so far, so we needn’t have worried. 6.30 feed was the start of the seaweed patch. Which went on for some considerable time, with Zoe treating it as a bit of a slalom. Jellyfish seemed to be hiding in the big swathes of weed. 7am faster feed, 40 secs, 7.05am jelly fish sting and an exclamation from Zoe. Hardly surprising. 7.30am had strong tea and a mini-roll. Zoe was content and said she liked the tea but not the jellyfish! 8.30 feed with electrolytes. During the next 30 minutes Zoe was violently sick twice, the first time throwing up copious quantities of feed. “Better out than in” was her reaction, then she carried on swimming. Emma suggested we should reduce the quantity and strength of the feed and checked this with Freda on the hotline. Mark decided Zoe needed a lift so we unfurled the “Bruffle Fproutff” banner from Will. Zoe lifted her head, grinned, and said it aloud before carrying on swimming. 9am 200ml, with only about 50ml of maxim, 150 plain water. It stayed down. 9.30am 200ml, half and half and we added some peaches in a cup. Zoe loved these. Very soothing after all the projectile vomiting! 10am 200ml, but Zoe’s stomach was still unsettled. She swam behind the boat and continued to throw up. At this stage we entered a period of quite rough water. Even Neil couldn’t work out where it had come from and it didn’t help our unsettled Zoe, leading to more throwing up. At 10.30 we gave her more peaches and stuck to 200ml of maxim. She started to settle down into a good, solid rhythm with no further episodes of sickness. At her 11am feed, Zoe declared she hadn’t peed for about 4 hours so we gave her very strong tea with 2 tsp of fruit sugars. This was far removed from the “baby tea” Zoe had on her feeding plan. It would probably have stood up on its own …without the bottle. No maxim this time. 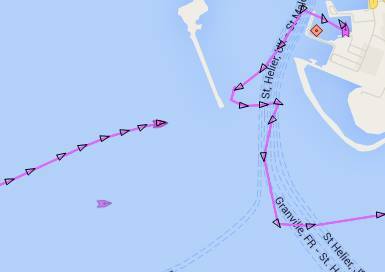 By this time, she was well into the French shipping lane.There followed a couple of hours of head down swimming, with smaller feeds, strong tea and occasional treats of peaches and jelly babies. At 12.30, we gave her 2 extra scoops of maxim in a feed, as she’d had a lot of tea and had now settled after her earlier bouts of sickness. 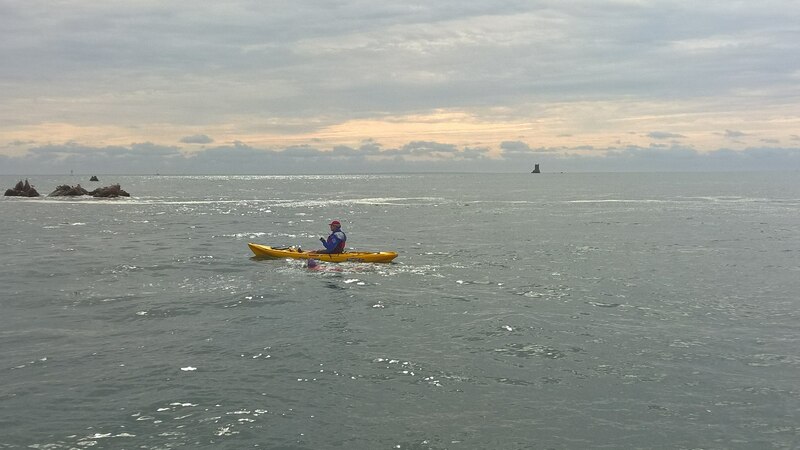 At 12.45 we heard on the radio that Ian had aborted his swim and was returning to Dover. This made us all feel a bit low and we hoped that Zoe hadn’t noticed Ian’s support boat turning back. Ian had been in sight from the start and we all felt for him, as he and Zoe had trained together. Zoe continued to swim like a machine. 1pm Maxim plus 2 teaspoons of fruit sugar plus peaches. Zoe really wanted those peaches! We took down one banner during this time and unfurled Gem’s “Go Mummy Thing” banner, which stayed attached to the boat until the end of the swim. At this point, our Pocket Rocket told us she was tired and she did look as if she was flagging just a little. At the 2pm, 2.30 and 3pm feeds we added 2 extra scoops of Maxim. She started swimming very well again but was obviously frustrated by where the tide was taking her. Shortly before 2pm, Cap Gris Nez was clearly in sight a few miles away to our left. Neil told me that Zoe wouldn’t be landing at the Cap, but at Cap Blanc Nez, to the north, past Gris Nez, right across the bay, past Wissant. This meant that it looked to Zoe as if she was just going sideways. It was hard for her to see any forward momentum. She knew to expect this but it’s hard to face when you’ve already been swimming for 12 hours. Treading water for a minute, she said, “Am I ever going to get there?” more to herself than to any of her crew. In the midst of her frustration, Emma gave her a message from Freda, “I still love you and you can dig deeper than you think.” We all told her how fantastically well she was doing, which was absolutely true. She was doing an awesome job and we hoped Freda’s message would tell her what she needed to know. 4pm, 3 extra scoops of Maxim to help with this really hard push through the tide. Messages of support were coming through thick and fast but we had discovered early on that our Pocket Rocket was in the zone and it was better not to disturb her. She noticed out occasional theatrical forays, masks, costumes, ears etc. but was a quiet and determined swimmer and that took all of her concentration and energy. Zoe had visits from Sea Satin and Anastasia after their relays. There were lots of cheers from Ellery, Ali, Dunc, Roger and the others. They all got a little wave from our rocket but she really wanted to just get on with it. It was an interruption to her concentration but Emma did notice that she picked up speed after each visit so the brief visits by the two boats did her good. Just before 4.30, Emma asked who we should get to tell Zoe when it got to her last feed. We unanimously decided it should be Mark. 4.30pm, we gave Zoe Maxim with 2 extra scoops but she chucked the bottle away after taking half of it and didn’t seem interested. At this point, Emma suggested that we should stop feeding Zoe and just let her finish this under her own steam. Mark wasn’t going to have the happy privilege of relaying the last feed message after all. Still, the outcome was going to be very happy, and we had been certain of this, so we knew we were safe to let her just keep her head down and go for it. Emotions did start to overflow on the boat. I was tweeting pictures of Zoe with the French beach ahead of her. Her stroke rate never wavered and we could see the beach getting closer and the cows in the fields above the cliffs. A sunny, hot day felt even sunnier because of her imminent success. We chatted, tweeted, texted and watched her slowly get closer. I felt complete delight when Emma said she was in shallow water. Zoe had asked me a few days earlier to bring my waterproof camera for “that shot”. Neil was happy for me to get in and swim behind her to the beach. I got ready at about 5.20pm. About 20 minutes later, Neil could go no further and told me to jump in. Zoe raised her head but Neil told her he’d run out of water and she was on her own. I swam behind her until she reached the sand. She stood once, knelt again and then determinedly stood up and stomped hard up the beach. She tore off her goggles, turned to me and said, “What the f&*$*ng hell do you want to do this for? That was awful!” Not quite what I was expecting!. She lifted her arms in triumph towards the boat and I managed to get a picture, although I did have a drop of water on the lens! I ran up the beach to find a couple of pebbles for Zoe to take back for Gem and Will. They were in short supply….as were French people. The beach was totally deserted. Swimming back to the boat was accomplished without incident and she managed to get up the steps. Our Pocket Rocket was a Channel Swimmer. Samphire Hoe, England to Le Petit Blanc Nez, France. 16 hours 0 minutes. 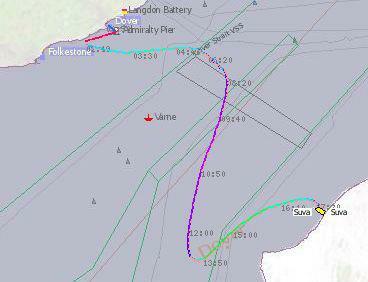 I was expecting to head over to Dover on Friday evening for my final training weekend (21st / 22nd July 2012). I was booked as the number 1 slot on the neap tide from 26th -31st July, and was hoping to use the last weekend for short swims and to get lots of advice and tips from those on the beach. However, I had been keeping an eye on the weather forecasts and had an inkling on Thursday (19th) that the weather was improving and the swim might be brought forward. I thought I would text Neil to ask him what the position was. As I was texting Neil to ask him, my phone buzzed and it was a text from himl telling me to prepare for a possible swim at the weekend or early the following week. Gulp! Talk about ESP!! 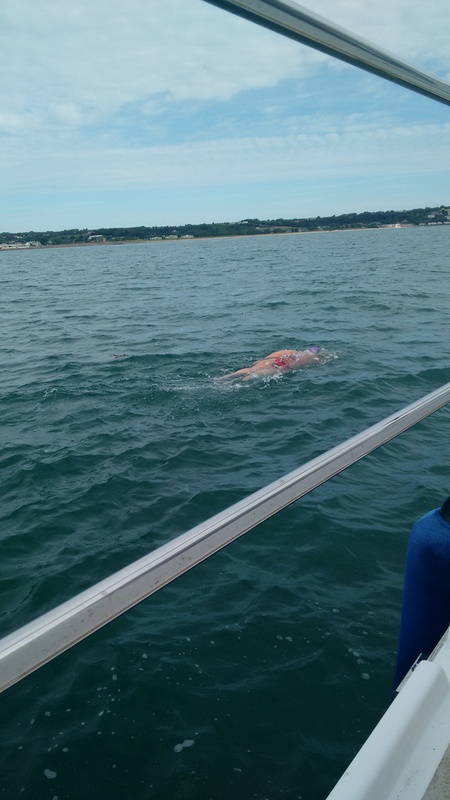 I therefore changed my arrangements and went down to Dover on the Saturday afternoon to stay for a few days to rest before my swim. As I was unpacking at the guest house, I got another text from Neil to ask if early Monday morning was OK! Wow, it was all happening so quickly! I barely slept at all and went down to the beach on the Sunday morning to speak to Freda about my swim. The mood on the beach was very very sombre. 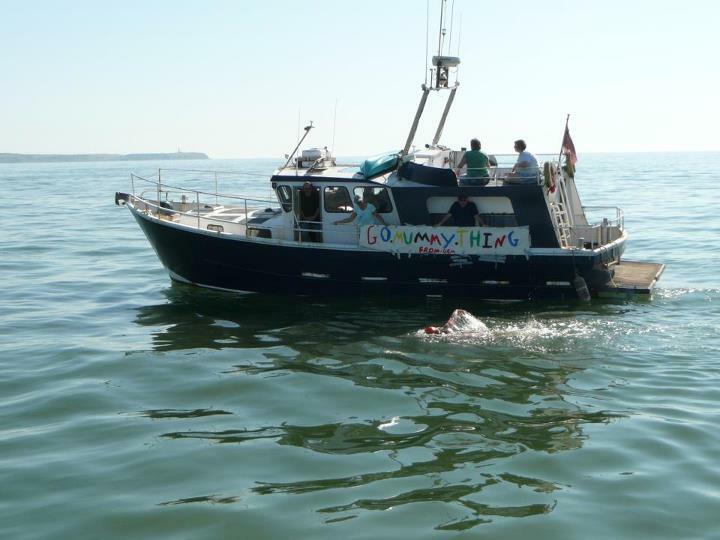 Kevin Murphy broke the devastating news to us that, in the early hours of Sunday morning, a gentleman called Paraic Casey from Sandycove, Cork had passed away during the final mile of his Channel swim attempt. I do not know the details and would not wish to pry, but everyone on the beach was extremely sad to hear this news. We held a minutes silence on the beach as a mark of respect. My thoughts go out to the family and friends of Paraic. I had never met Paraic, but he sounds like a fantastic man and a huge loss to the open water swimming community. He was one of us, a fellow swimmer wanting to achieve their own personal dream to swim the English Channel. 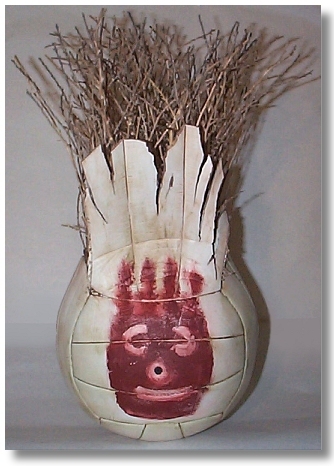 Everyone on the beach could understand the dream that he held. After the previous weekend’s 7 & 6 hour swims I was dreading the briefing on Saturday morning. I had around 3 weeks to go until my tide started and I was expecting another long back to back weekend. The weather was pleasant and sunny. The sea was calm. The conditions were ideal for a long swim. I was therefore expecting to be given a 7 or 8 hour swim. I was given 3 hours! I was very very confused by this. The 3 hours went really quickly and I was out of the water in time for lunch. 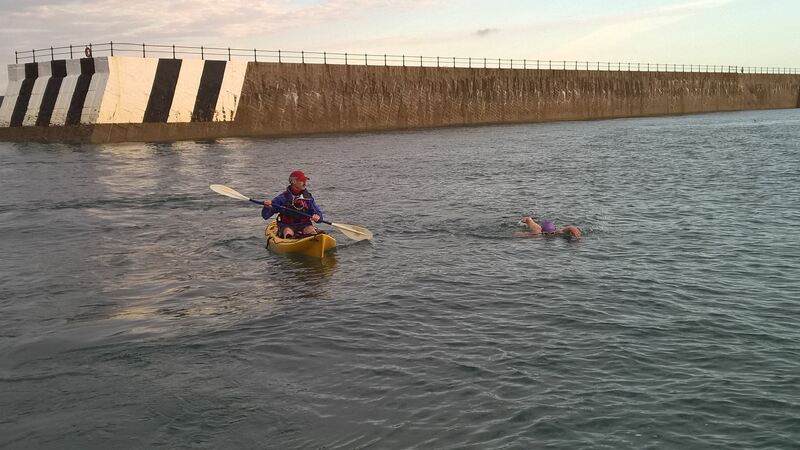 I also felt a bit guilty because I was staying in Dover all weekend and had only done a 3 hour swim! On Sunday I headed down to the beach expecting another short swim. I was given 5 hours! Freda explained to me that it was the TBC (Total Brain Confusion) approach and she didn’t want me to get used to the same swims every session. The 5 hour swim was fine and uneventful, although I did see a dogfish swim underneath me at one point and that livened it up a bit! Water Temp: I have stopped checking now! I didn’t know what to expect this weekend after the previous weekend. As it happened, I was given two 4 hour swims. After doing the long back to back weekends, the training had stepped down several gears. Mark Robson www.markswims.com and Rob Sutermeister came down from the North for a training weekend. We met up in the evening and went out for a lovely Italian meal at El Rustico in Dover. The food was really good in there and the service was very quick. Mark Robson will be known as “The Hoover” from now as he ordered a second main course of spaghetti bolognese whilst Rob and myself were still chomping through our first (and only!) main course. Mark even had room for dessert! 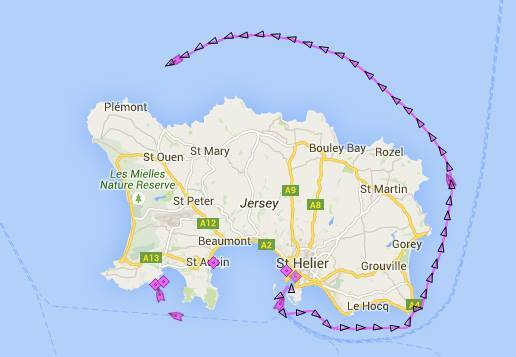 Both Mark and Rob are due to swim the Channel later on this year. A massive thunderstorm on Saturday! This caused Vaseline Barrie to blow the whistle and order all the swimmers out of the water after 5 hours. The beach crew were absolutely drenched and it was clearly unsafe to be swimming in a big electrical storm. 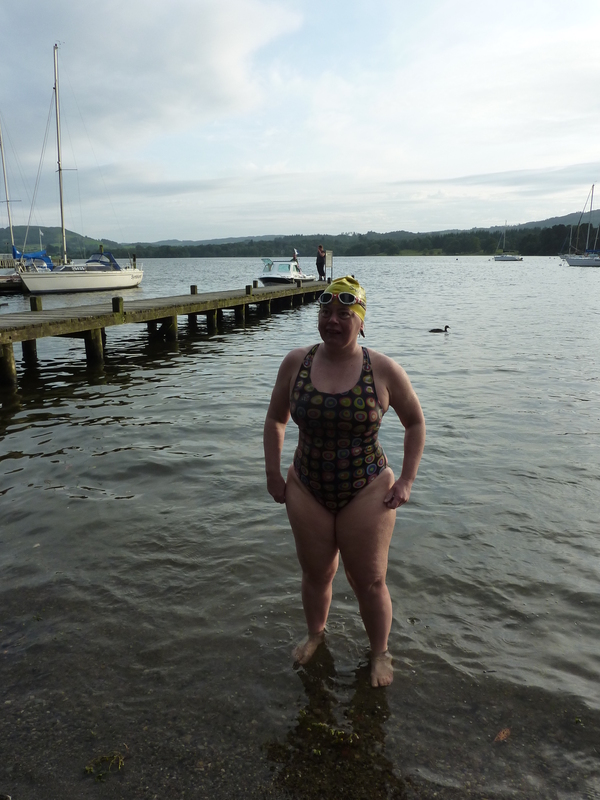 I felt a bit short-changed, I had done my full 4 hour swim and the others were being allowed out early! !